Philadelphia based Camae Ayewa is best known for her work as Moor Mother, a moniker through which since 2012 she has released music prolifically. The Moor Mother sound is deliberately abrasive; a noisy torrent of free jazz, hip-hop, poetry and punk (or, in her own words, ‘project-housing bop, slaveship punk, witch rap‘) collaged into experimental noise poems that speak to violence, trauma and the radical political struggles of black history. The album Fetish Bones, released in 2016, is already considered a contemporary masterpiece. 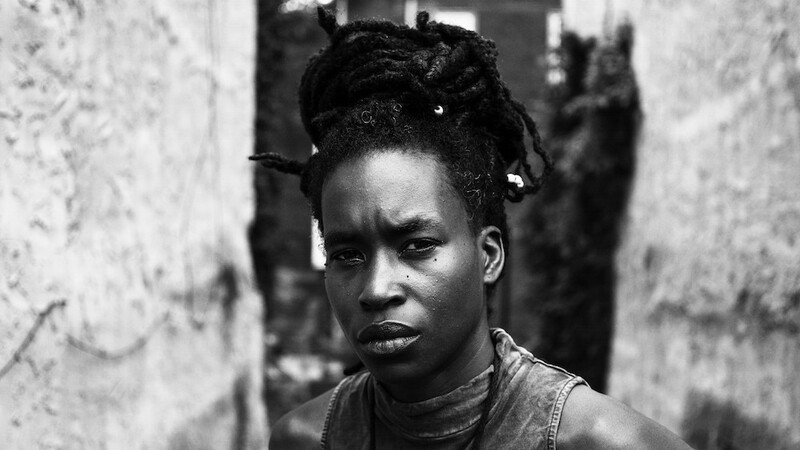 Pitchfork described it as ‘a reminder of the hardships of love under the regime of historical trauma’ – an album ‘you will never be able to unhear’, and The Wire was moved to describe Moor Mother as ‘the most radical Afrofuturist artist to emerge for years’.